This is a very fascinating branch of my tree. Pauline Wardley, I was always told as a child, was the illegitimate daughter of Richard Brinsley Sheridan. Pauline was supposed to be an opera singer. I was told she married Gustav Kuhlmey and went out to India where they had 7 children and Gustav was a Bandmaster to a Maharajah. Gustav died young and she remarried Walter Wheeler. She sent her three eldest sons to Berlin to live with Gustav's father. She never saw them again. I was told Walter left her and their children and went back to England. Pauline was then supposed to have shot herself through the head. Since investigating her life more thoroughly I have found most of this to be wrong. Stories can get unintentionally changed through the generations of telling. Firstly, Richard Brinsley Sheridan cannot be her father as he died long before she was born. Secondly, Gustav was Bandmaster to the Nawab of Rampur, but no Maharajah has been found. Thirdly, Pauline shot herself through the heart when she was an old lady. A very sad story, but Pauline would have been happy this last September 2002. The Kuhlmey & Wheeler descendants of Pauline's were together at last. I managed to find all of her descendants with the help of the India Rootsweb mailing list. A lady named Dalmar put me on the track of the Wheeler's & the German Red Cross found Franz Kuhlmeys daughter & her son in Germany for me. 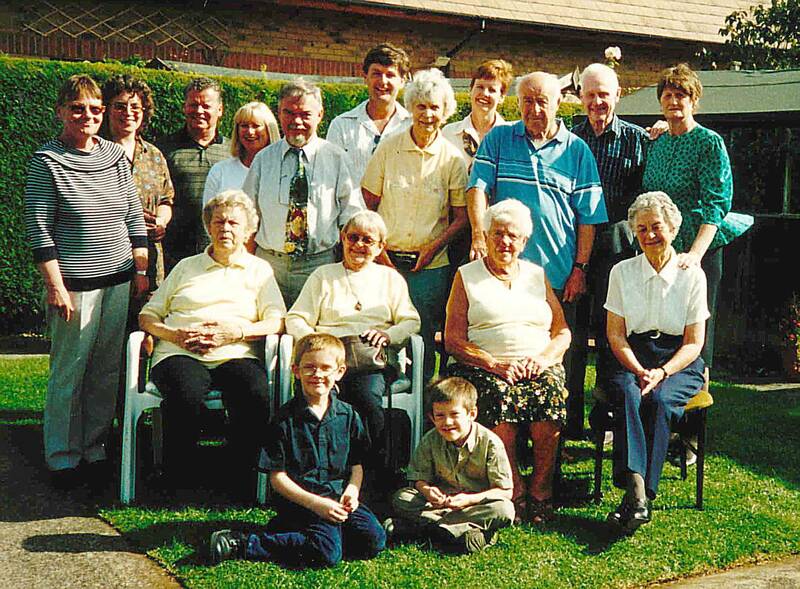 Nineteen of Pauline's descendant's from Germany, Australia, Canada & England met at my Grandma's house. I'm sure Pauline would have been pleased that her family were together at last. Thanks for the photo Terry & Liz! 1. PAULINE SHERIDAN2 WARDLEY (RICHARD SHERIDAN1) was born 27 August 1857 in Barnby Gate, Newark, Nottingham, England, and died 11 February 1921 in Jhansi, India. She married (1) GUSTAV ADOLPH ALBERT KUHLMEY 28 November 1878 in St Annes, Soho, Westminster, London, England, son of WILHELM KUHLMEY and SOPHIE SCHMIDT. 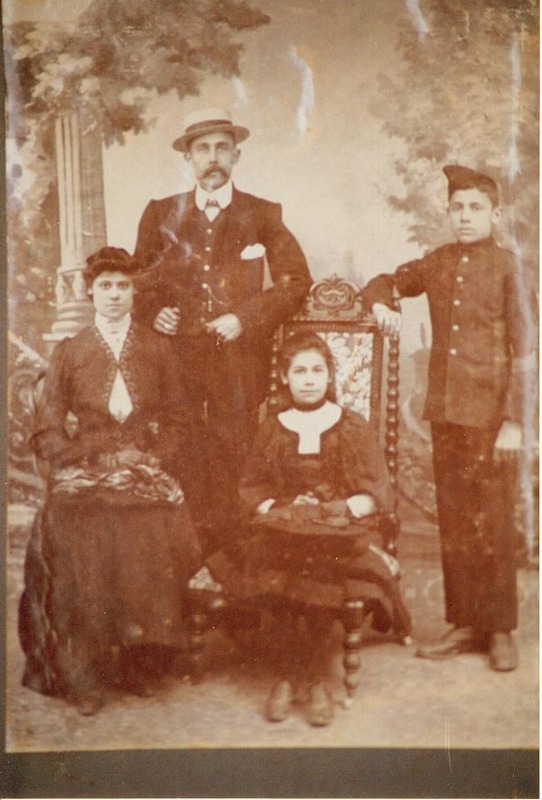 She married (2) WALTER HENRY WHEELER 3 September 1898 in Methodist Episcopal Church, Mussoorie, India, son of GEORGE WHEELER. 3rd October 1889. Offg. Comdg. Presidt. Volunteer, and Hon. Secretary, Town Band. "Englishman" 6-7-87. - We run the risk of being told that adulation has "run riot" with us, but we cannot conclude a notice of this most successful concert without a distinct allusion to the playing of the Band, and to the master hand to which the excellence of their performances is due. It was well nigh impossible to realize that the men, wh0o but a few weeks ago failed to attract an audience much in excess of the children and their ayahs so intelligently played music of such masters as Schubert and Mozart, but the secret was easy to discover. One had but to watch that baton to realise whence the life, the delicacy, the expression, the soul came. All honor to Herr Kuhlmey, he his a thorough artist and we hope the public will hasten to see this and to make the most of him We believe we are right tin saying that Colonel Chatterton, so to say, "discovered" the Herr when in London some years ago, and brought him out to India for a regiment. If this was so, it must be a source of gratification to the Colonel to see how successful his discovery is. i. ELSA EDITH3 KUHLMEY, b. 1894, India; d. February 1932, Berlin, Germany; m. GEORGE WILLIS, 29 April 1918, Jhansi, India. 2. ii. FRANZ ERNST KARL KUHLMEY, b. 16 August 1882, 39 Long Acre, St Martin in the Fields, London, Middlesex, England; d. 4 March 1920, Berlin, Germany. iii. GUSTAV FRIEDRICH WILHELM KUHLMEY, b. 22 June 1886, Peshawar, India; d. Berlin, Germany. iv. SIEGFRIED AUGUST GOTTLIEB KUHLMEY, b. 2 October 1887, Calcutta, India; d. 29 June 1961, Plestein, Barvaria; m. FRIEDA. 3. v. BRUNHILDA MARY PATRICIA KUHLMEY, b. 24 September 1889, Berlin, Germany. 4. vi. WOLFRAM BRUNO ARTHUR KUHLMEY, b. 29 April 1893, Agra, India; d. 3 February 1972, Clacton-On Sea, Essex, England. 5. vii. GRACE GERTRUDE MARGARETHE KUHLMEY, b. 5 February 1895, Rampore Kohilkhand, India. 6. viii. GEORGE3 WHEELER, d. South Africa. 7. ix. WINIFRED HARRIETTA WHEELER, b. 30 October 1899, Lahore, India. 2. FRANZ ERNST KARL3 KUHLMEY (PAULINE SHERIDAN2 WARDLEY, RICHARD SHERIDAN1) was born 16 August 1882 in 39 Long Acre, St Martin in the Fields, London, Middlesex, England, and died 4 March 1920 in Berlin, Germany. He married GERTRUD SOBIELLA. i. CHARLOTTE4 KUHLMEY, b. 29 March 1915, Berlin, Germany; d. 1 February 1986, Berlin, Germany; m. LENZ. ii. MARGOT KUHLMEY, m. SCHMIDT. 3. BRUNHILDA MARY PATRICIA3 KUHLMEY (PAULINE SHERIDAN2 WARDLEY, RICHARD SHERIDAN1) was born 24 September 1889 in Berlin, Germany. She married (1) BARRY. She married (2) HOOK. ii. TERENCE BARRY, m. KATHLEEN. iii. ADELIA HELEN BARRY, m. PATRICK JOSEPH LYS. v. PAULINE4 HOOK, d. Peterborough, England. vi. PETER HOOK, m. BERYL. 4. WOLFRAM BRUNO ARTHUR3 KUHLMEY (PAULINE SHERIDAN2 WARDLEY, RICHARD SHERIDAN1) was born 29 April 1893 in Agra, India, and died 3 February 1972 in Clacton-On Sea, Essex, England. He married MURIEL EVA COLLETT 12 February 1923 in Jabalpur, daughter of ARNOLD COLLETT and EVA DUNCAN. i. VALMAY EVA PAULINE4 WARDLEY, b. 10 December 1923, Christ Church, Jabalpur, M.P. India; m. JOHN EDWARD SWINBOURNE, 12 May 1943, St Martins, Jhansi, India. ii. ELIZABETH MARGARET WARDLEY, b. 31 October 1925, Jubalpur, India; m. FREDERICK WILLIAM GASCOYNE, 11 June 1943, St. Martins, Jhansi, India. Medals, clasps & decorations - Defence Medal, I.G.S. Medal with clasp (1936/37 N.W.F & 1937/39 N.W.F. ), War Medal 1939/45, Coronation Medal 1953, L.S & G.C Medal. Occupation and place of residence listed on Death Certificate as Major Royal Anglian Regiment (Retired) of 55 Lea Gardens, Peterborough. Death certified By G. French MB. iii. PATRICIA MARIE WARDLEY, b. 31 July 1927, Jubbulpore, India; d. 1951, Colchester, England; m. COLIN HIBBERT, August 1945, St Martins, Jhansi, India. 5. GRACE GERTRUDE MARGARETHE3 KUHLMEY (PAULINE SHERIDAN2 WARDLEY, RICHARD SHERIDAN1) was born 5 February 1895 in Rampore Kohilkhand, India. She married (1) ? BARRY. She married (2) PLUMMER. 6. GEORGE3 WHEELER (PAULINE SHERIDAN2 WARDLEY, RICHARD SHERIDAN1) died in South Africa. He married VIOLET TOMLINSON. iii. MYRTLE WHEELER, m. DERREK. iv. WILLIAM WHEELER, d. 27 March 2001.
vii. GEORGE WHEELER, d. Abt. 1985; m. MARY GOW. 7. WINIFRED HARRIETTA3 WHEELER (PAULINE SHERIDAN2 WARDLEY, RICHARD SHERIDAN1) was born 30 October 1899 in Lahore, India. She married DAVID NEALE. i. GEORGE4 NEALE, m. PAT. iv. PAULINE NEALE, m. SIDNEY.